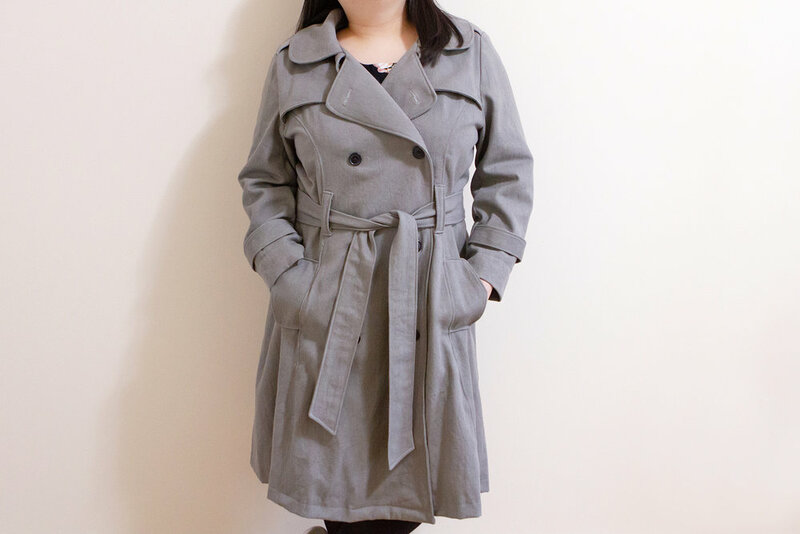 You could say that trench coat is one of the wardrobe staples for a lot of people. It’s been around for a long time, it’s a classic outerwear. I on the other hand, have always been hesitant to wear/own one. I’m short and not thin, so it’s hard to pull off classic military look. Big pointy edged collar/lapel doesn’t usually looks good on me either like blazer and pea coat. 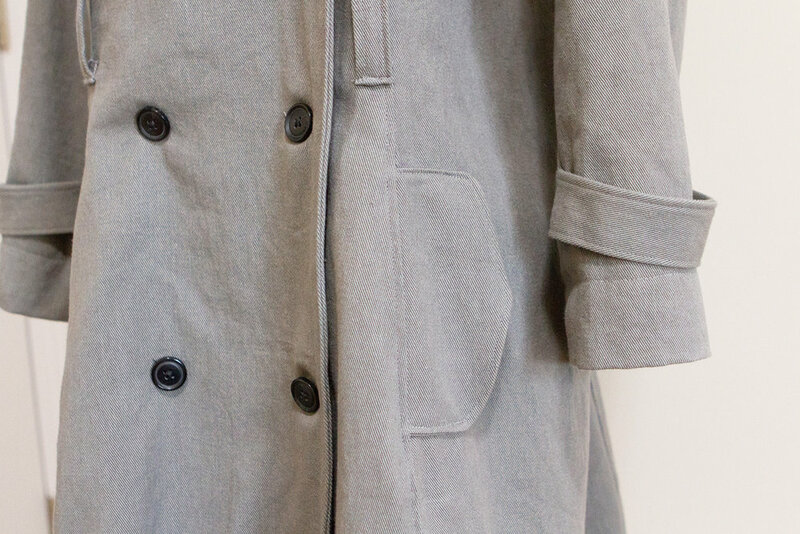 The Robson Coat is a feminine take on the traditional military trench, with rounded edges for a softer look. And those are the exact reasons why it got my attention. 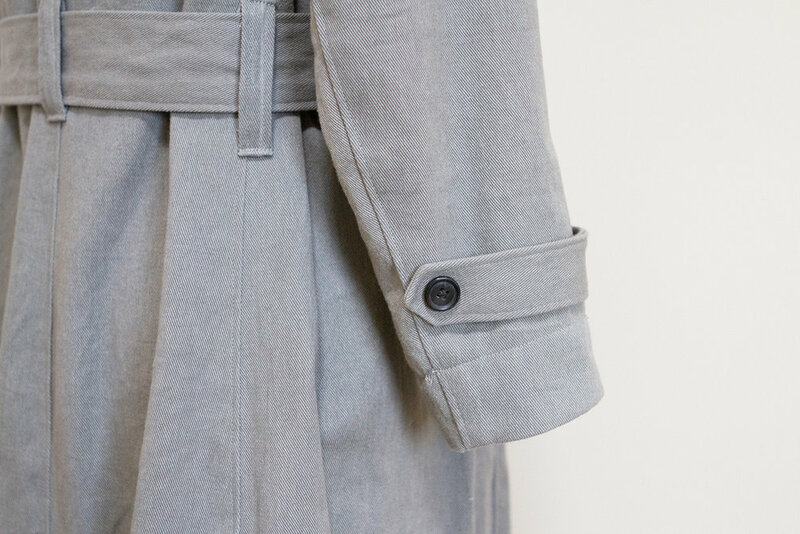 The edges of collar are rounded and that little detail changes so much of the over all feel. It’s classic yet soft and feminine! My brother-in-law got this pattern for me last Christmas and I finally made one recently! I used cotton grey twill fabric which is ok but maybe I could have used a tad thinner fabric? It’s kind of heavy because this coat has so many pieces and layers around shoulder. But I think traditional cotton trench coats are all heavy anyway. I do love all the details that make it traditional though—from epaulettes to gun flap, back yoke, storm pockets, and sleeve straps. It’s got all the bells and whistles! You can see the gun flaps better in the photo below. It’s so cool, isn’t it?! The instruction that comes with the pattern is pretty good. You could say this is a more complicated project because of the number of pattern pieces, but it came together fairly straightforward. It did take me some time though, this was definitely not a quick project. But I enjoy tackling on complicated or detailed project here and there (not too often!) so that I can learn new skills by the end. 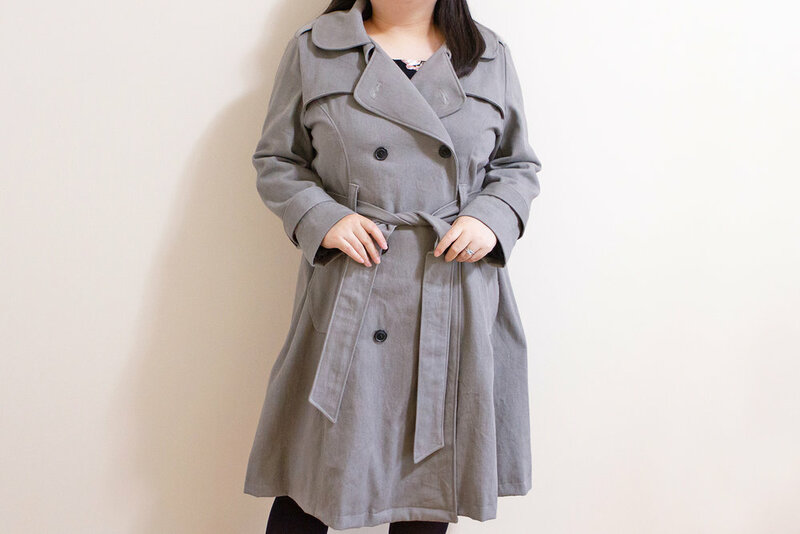 I did some research about trench coat and the reasons behind all the details. Epaulettes are for indicating rank and also could be used for attaching thing like whistles. Gun flaps and back yokes are so that water (rain) would just run down the flap rather than soaking into shoulder. Gun flaps is also to cushion some recoil from a gun (if padded underneath.) It’s double breasted so that you can wear either side on top depending on the direction of the wind to keep the body warm. Neat, don’t you think? The fashion that is directly connected to history is so fascinating. You can’t really tell, but there’re buttons under the gun flaps too! 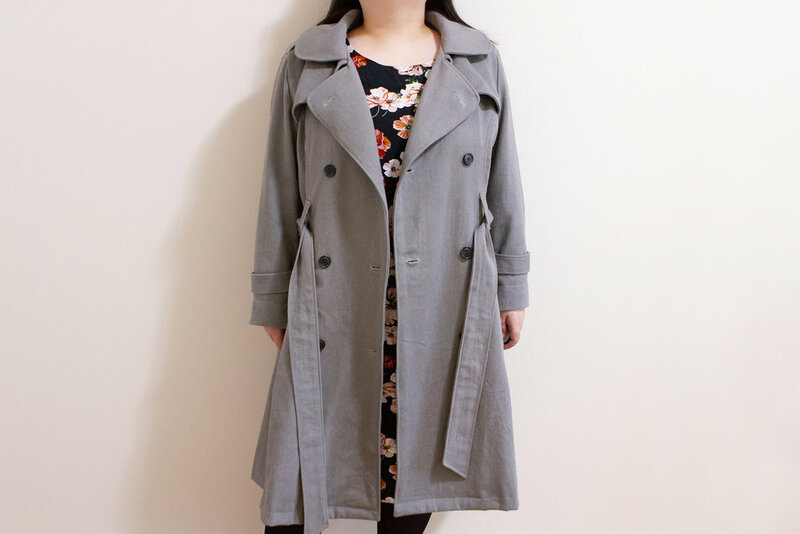 Because it’s heavier (not a big deal, this is a small issue with my fabric choice, not the pattern’s fault, just to be clear) than my other coats, this one might not become the jacket I wear most often. But I’m really glad I made it. I’m proud of the result and it makes me feel very grown up to have such a classic piece in my closet! Plus, I always feel like I’m a cool detective from an old movie in it! It’s fun to wear. I think this is my first time using a pattern from Sewaholic and it was a pleasant experience! They got beautiful line up of patterns, many of which I’d like to try in the future!